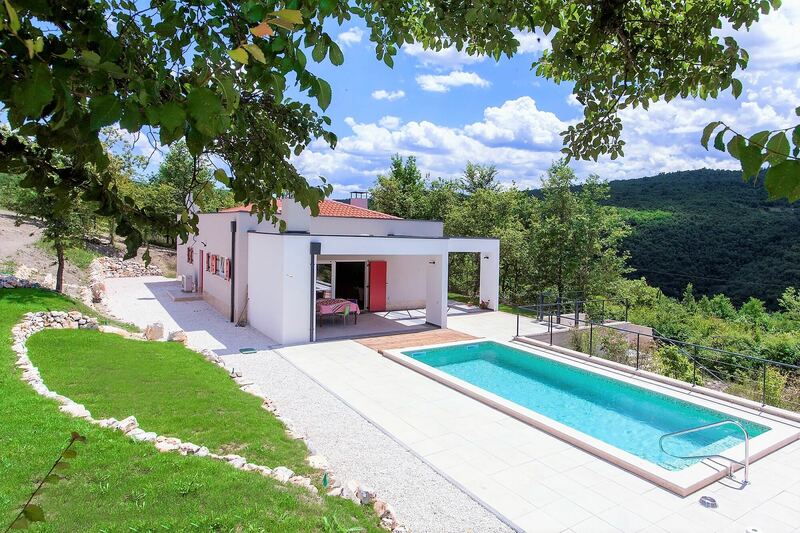 Located near Motovun this property offers tranquillity and privacy to true nature lovers. The route to the house is spectacular itself. 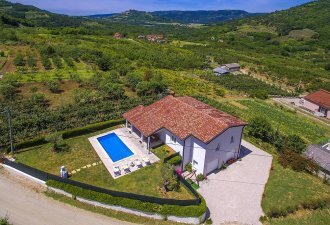 Driving through wineyards with fantastic view over surrounding valley and ancient town of Motovun you are approaching this charming house. There is no traffic around the house, just the sounds of nature. Nearest neighbours are more than 500 meters away. In the evening visit one of Motovun restaurants offering truffels, one of best istrian delights. This property has two spacious bedrooms large living room area and private swimming pool. Both bedrooms have en suite bathoom. On the Terrace you can have your meals or just enjoy a glass of wine over magical Istrian sunset. 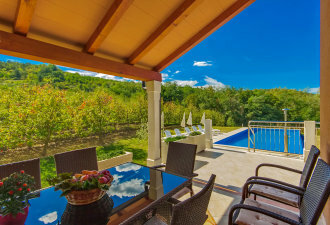 Next to terrace is a private swimming pool with spectacular view over surrounding olive field. Pets allowed with with an extra cleaning charge of 50 Euro per pet per week.